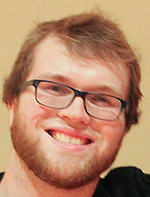 Aaron Kall has been Director of the University of Michigan Debate since 2010. He previously served as Assistant Director since 2002. Aaron’s teams have finalists at the National Debate Tournament three times and semifinals three times. Michigan Debate has reached the elimination rounds of the National Debate Tournament for eleven years in a row and secured a first round at-large bid to the NDT for the last seven years. He is the editor and co-author of three books: Debating The Donald, I Do Solemnly Swear, and Mr. Speaker, The President of the United States. Kurt Fifelski is the Assistant Director of Debate at the University of Michigan and has been in Ann Arbor since 2014. In that time he has coached teams to tournament victory at Harvard, Wake Forest, Kentucky, the Dartmouth Round Robin, Miami, and Indiana. Kurt focuses on coordinating debaters and coaches, directs argumentation at tournaments, and on making sure Michigan continues to be the most innovative team in terms of research in the country. He has won multiple awards for his skills as debate coach and as a judge. Kevin Hirn is a Program Manager for the University of Michigan Debate Team. As former college debater at Michigan, he qualified to the National Debate Tournament four times, participating in elimination rounds twice and receiving a first-round at-large bid in 2013. He debated in high school at Whitney Young High School, where he won both NSDA and NAUDL Nationals, was the third speaker and elimination round participant at the Tournament of Champions. Additionally, Kevin has coached high school debate teams at Whitney Young, Dexter, and Glenbrook North, capturing state titles in both Michigan and Illinois. Val McIntosh is a Program Manager for the University of Michigan Debate Team since 2017. In addition to doing high-level research and argument innovation. 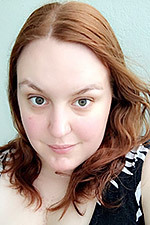 Val has also been a debate coach at Niles West High School in Skokie, IL for seven years where she has coached some of the top high school debaters in the country and was the recipient of the National Debate Coaches Association’s Rising Star Award in 2016. She is a graduate of Michigan State University and hails originally from Milwaukee, WI. 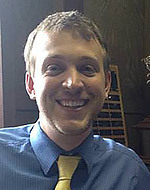 Dustin Meyers is an Assistant Debate Coach at the University of Michigan. 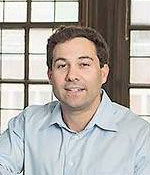 He debated at Edina High School in Minnesota from 2008-2012, where he fell in love with the University of Michigan during summer camp his sophomore year. As a debater at Michigan, he was a three-time NDT qualifier, reaching the double-octafinals twice and the octafinals once, and was a CED A Nationals octafinalist. After five years as a debater, he’s now continuing as a coach for Michigan as well as for Glenbrook North High School in Illinois.